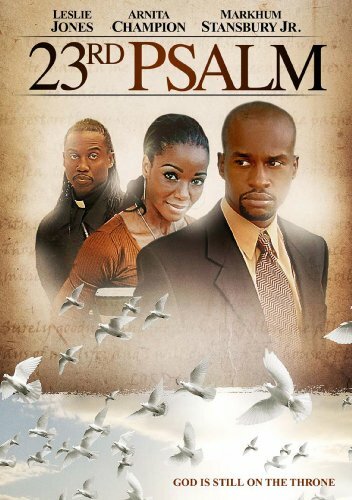 23rd Psalm ushers in a new generation of urban transcendental cinema. "Born out of a love and appreciation for the character relationships and thematic overtones of Paul Haggis' CRASH, 23rd Psalm was my lovechild," said Director Christopher C. Odom. "Initially, I wanted to write a story that revolved around spiritual stereotypes, twisted them, letting none of the characters behave as the stereotype would suggest, thus opening a channel for awareness and hope. As the story began to evolve and form from its own mold, it blended the structure and character relationships of Akira Kurosawa's RASHOMON and Orson Welles' CITIZEN KANE by providing the viewer an evolved exegesis into the psyche of each character through the perspective of that character's ego and through the looking glass perspective of a third party - Detective John Smith." Set amongst the urban decay and unfettered angst of Los Angeles, Police Detective John Smith battles alcoholism and cynicism. Going about his daily routine, initially John remains complacent over a seemingly ordinary prostitute murder. But when John's intuition awakens, he experiences revealing visions about the victim and her murder. John must conquer his vices and overcome his skepticism to embrace intuition, question the unusual suspects, and allow his visions to illuminate the truth. John experiences a brief vision of a murdered prostitute and 12 hours later the vision becomes a reality, whereas John is the homicide detective called to investigate the murder site. With very few clues, John does his due diligence and contacts anyone who had recent interaction with the prostitute. A bottle of morphine with a doctor's name on it becomes the first clue in a trail of clues that seem to lead nowhere. On the surface, John meets a dedicated doctor, a sympathetic shopkeeper and a pious pastor. The doctor paints the story of the murdered prostitute as a crazed drug addict, the pastor tells the story of the murdered prostitute as a troubled soul who needed salvation, and the shopkeeper recants the story of the murdered prostituted as an abused victim who needed a friend. They all persuade John to take the honorable way out and close the case: "It was obviously a John that killed her." And although John's clues seem to lead nowhere and suggest the closure of the case, intermittent with enormous urges to turn to the bottle, John is beleaguered with growing visions of the spirit of the murdered prostitute which could possibly be a communication from the beyond to solve her murder. Nothing seems to make sense until John has a chance meeting with the homeless people in the neighborhood who paint a much different picture about the murdered prostitute - a story of transformation and wonder on a magnanimous scale. Realizing that the shopkeeper, pastor and doctor had been far from accurate in their depictions of their interactions with the murdered prostitute, John questions them again, this time guns ablaze, intent on illuminating the truth and the film's shocking powerful ending.